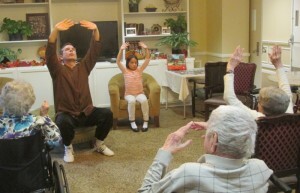 Dharma-Zen Tai Chi Studio Curriculum: A typical Dharma-Zen Tai Chi Studio class begins with traditional Chinese tea. Tea is followed by stretching, standing meditation, various chi kung forms and martial arts form practice. Our Tai Chi is taught as a martial art, not just beautiful movements. We teach the applications of all the movements. We teach how to use your power. We teach how to maintain your ‘root’ or stability. Kicking, fa jin, push hands, and other related activities are part of the curriculum. 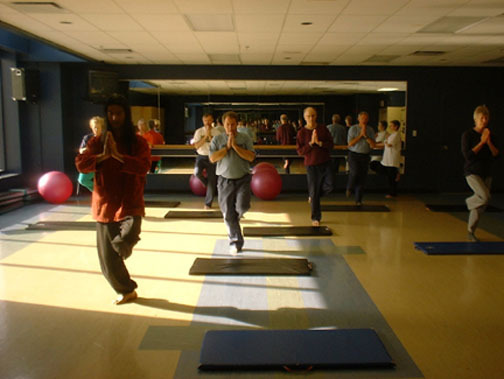 Most students begin with Tai Chi and then move on to push hands, sparring and other forms if students choose to continue after learning the Tai Chi form. Tues and Thurs from 6:00 pm to 8:00 pm. Sun morning from 10:00am to 12:00am. He also teaches at various locations around Calgary. To contact Danny about studying in Calgary and a FREE TRIAL CLASS, fill out the form, below. Austin Classes: One of Danny’s students, David, has studied martial arts for over 20 years. He has been a student of Danny’s since 1997. David currently teaches classes in retirement homes around Austin, TX. Click here to email David.